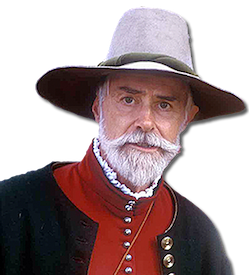 Soule Kindred in America, Inc. is a non-profit organization founded in 1967 and dedicated to furthering the knowledge and understanding of American Colonial history, along with the Pilgrims and their descendants, with special emphasis on George Soule. 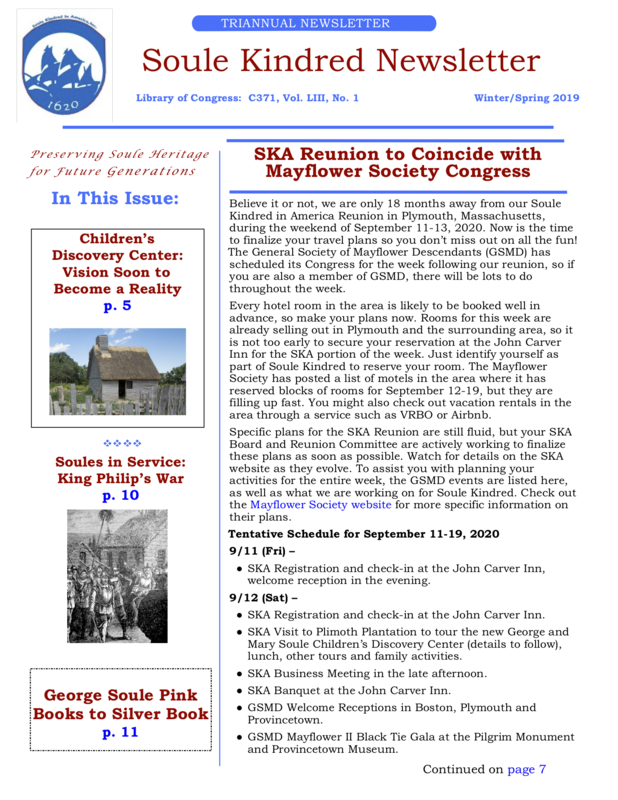 We hope you will consider becoming a member of our Soule Kindred family and help us expand our knowledge of George Soule and his descendants. Guest memberships are free, along with our 50+ year collection of Newsletters. Paid memberships receive invitations to the Soule Kindred reunions, as well as access to our Family Tree Database and membership directory. Although we are always delighted to meet new cousins, you do not have to be a Soule descendant to become a member. We welcome anyone who is interested in the Pilgrims, American Colonial history, and preserving Soule heritage for future generations. Won't you join us today?